Kris Van Assche attended the Christian Dior show as part of Paris Fashion Week Haute Couture Spring/Summer 2014 on January 20, 2014 in Paris, France. 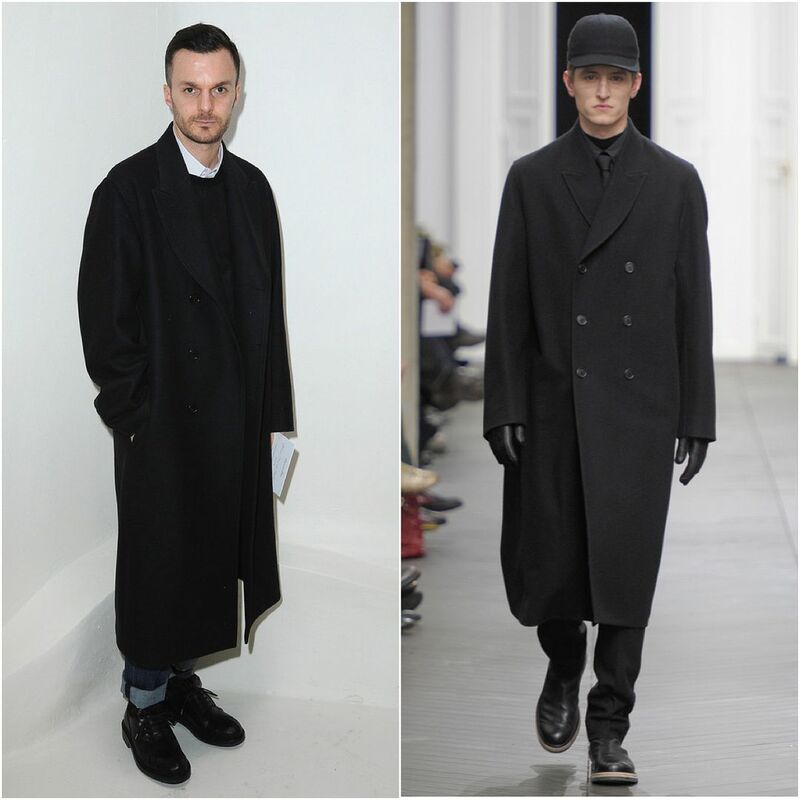 The Belgian designer, who is the Creative Director of Dior Homme, attended the show in support of Raf Simons, fellow Belgian and Creative Director of Christian Dior. Kris wore a black oversized coat over a black knitwear, white shirt, rolled up denims and black lace-up shoes. If I am correct, Kris wore one of his coats from the Kris Van Assche collection. The lapels and sizing suggest so. The coat on the top right was presented a few days ago, with sewn on patches but I think Kris's coat was without. I was hoping he would wear something straight off the runway, either from his own collection or Dior Homme's. Particularly the latter as the floral references to the late designer's favourites were so tastefully done. But I guess there is a time and place for that (ie not to steal the thunder). 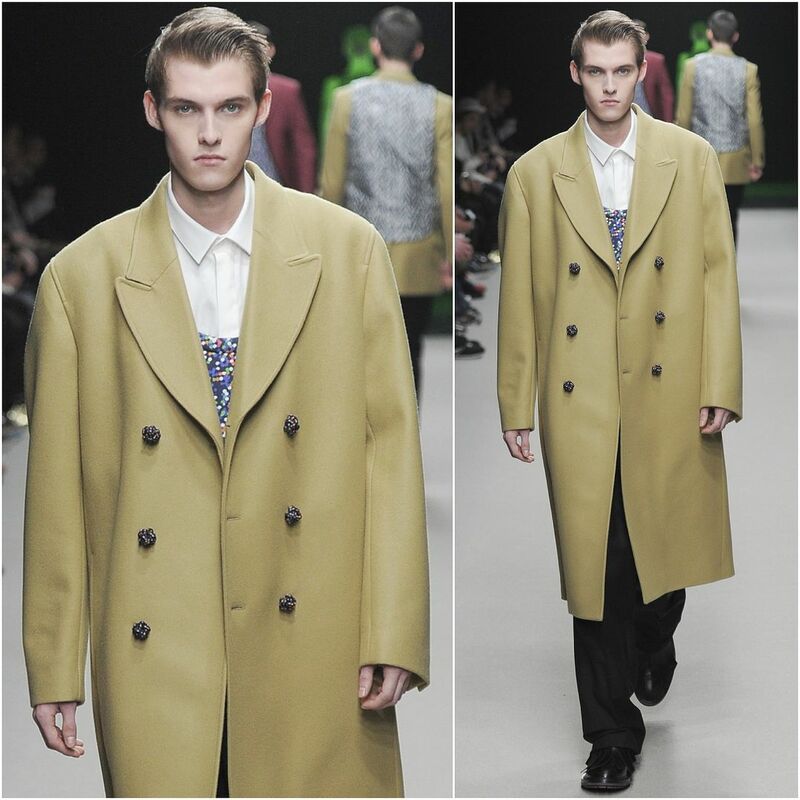 The oversized coat also comes in the lighter colour above, with interesting raspberry like buttons. 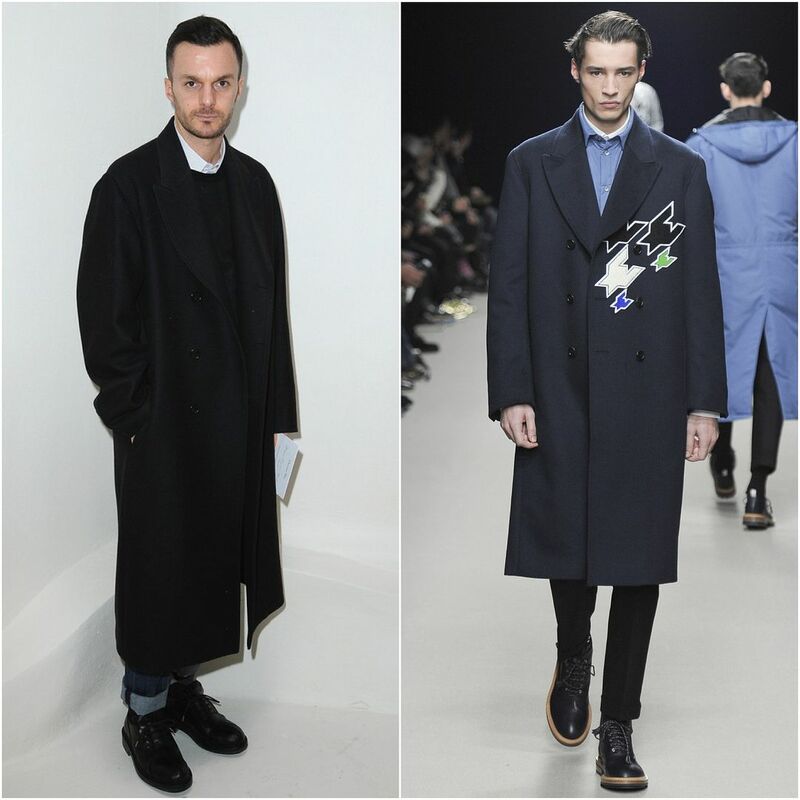 Would you prefer the black coat with the colourful sewn on patches, or the above camel coloured coat with more interesting buttons? Oversized coats and jackets are really bad! it is a different shape, and it hides any unflattering body shapes!